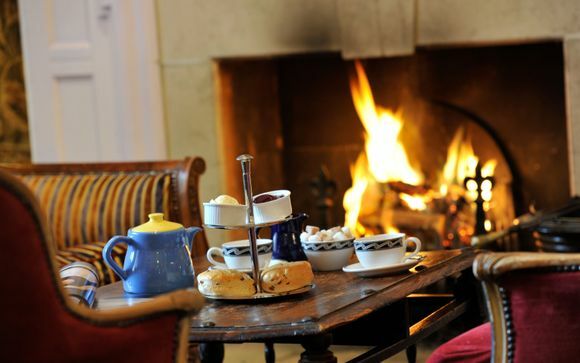 Come and discover the breathtaking views of the Dorset coastline in this ever-popular hotel. 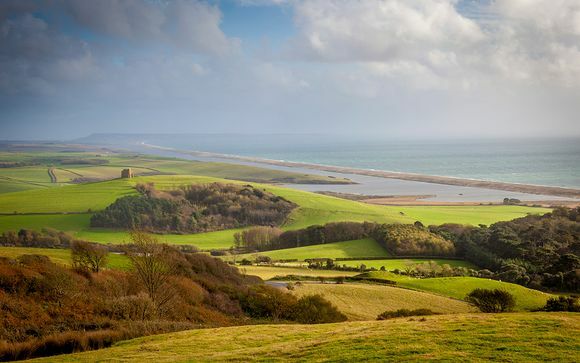 Overlooking Chesil Beach in West Dorset and situated in unspoiled countryside, this World Heritage site is simply magical. The hotel's terrace is a perennial suntrap where,weather permitting, you can enjoy the fabulous views across the Fleet from inside the restaurant. One of the first impressions you will have on arrival at the Moonfleet Manor is the stunning view. This regal Georgian manor is set on Dorset's dramatic coast, overlooking Chesil Beach and surrounded by a recognised area of outstanding natural beauty. Inside you will find a hotel whose elegant original characteristics are extenuated by quirky decor. No matter what the weather does, fun is paramount at Moonfleet Manor. With indoor and outdoor play areas, a cinema room and heated indoor pool, the children will be entertained all day, every day. With a fantastic blend of colonial-feel furnishings and stylish modernity, there is one word that describes the rooms at Moonfleet: gorgeous. - Double Room (max. 3 persons): With fantastic views over Moonfleet’s gardens, our standard rooms are ideal for romantic breaks...some even lead onto a balcony. - Family Double Room (max. 4 persons): Classically elegant with period flair, our spacious family doubles are located in the historic manor house. - 2 Bed Family Room (max. 4 persons): With separate areas for parents and children, our interconnected family rooms offer luxury, privacy and comfort...in one stylish package. - Deluxe Family Room (max. 5 persons): Impressively decorated with quirky furnishings, our deluxe rooms provide plenty of space for family time. - Deluxe 2 Bed Family Room (max. 5 persons): Ideal for larger families, our deluxe two-bed family rooms have plenty of extra space for relaxation and play. - Interconnecting Family Room (max. 6 persons): This more flexible option is housed within the main house, these interconnecting family rooms incorporate two bedrooms and two bath or shower rooms. - Coach House Room (max. 6 persons): Retreat from the main hotel, these Coach Houses include two floors and lots of room. In general, the food is a delectable blend of Mediterranean and British, with an emphasis on locally produced ingredients. Tuck into this hotel's tasty offerings on a sunny terrace that looks out across Chesil Beach and the sea beyond, the chef's juicy lamp rump, raised on the Jurassic Coast, accompanied with a full-bodied wine is an especial treat! How do you like to relax? By lazing in the sauna? A gentle swim in a heated pool? Perhaps you’d prefer a bit of head-to-toe pampering with treatments that will leave you refreshed and soothed? All this and more are availble within this manor so enjoy! Your hotel is approximately 20min / 10km from Weymouth Station.